On Thursday, September 10, 2015, Brooklyn Bridge Park Conservancy and Brooklyn Bridge Park (BBP) celebrated the grand opening of the Conservancy’s Environmental Education Center to the public, an exciting new addition to the Brooklyn Bridge Park, a highly successful recreational, environmental and cultural destination enjoyed by the residents of and visitors to New York City. Located at 99 Plymouth Street, the Education Center is a new, year-round space designed to house BBP’s thriving education program which serves over 10,000 school children each year. 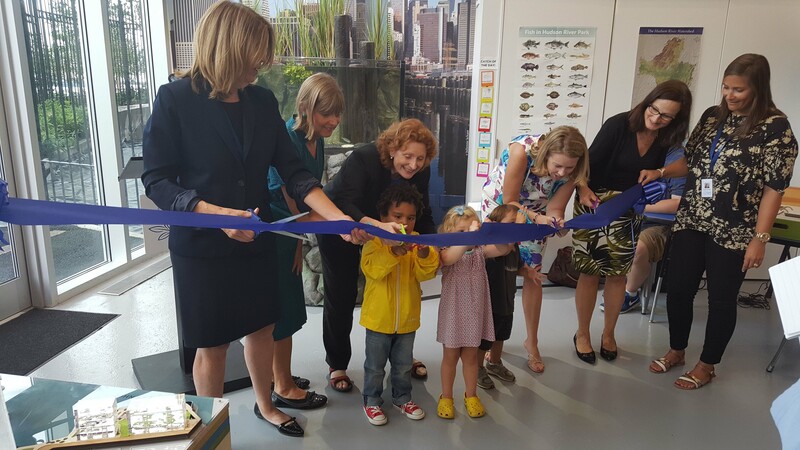 The project signifies a new chapter of environmental education in New York City. The Education Center is housed in a former NYC Department of Environmental Protection maintenance building that BBP has converted for park use. The Conservancy is responsible for outfitting and funding the classroom’s interior construction and will operate the Center, using it as a home base for its extensive education programming year round. 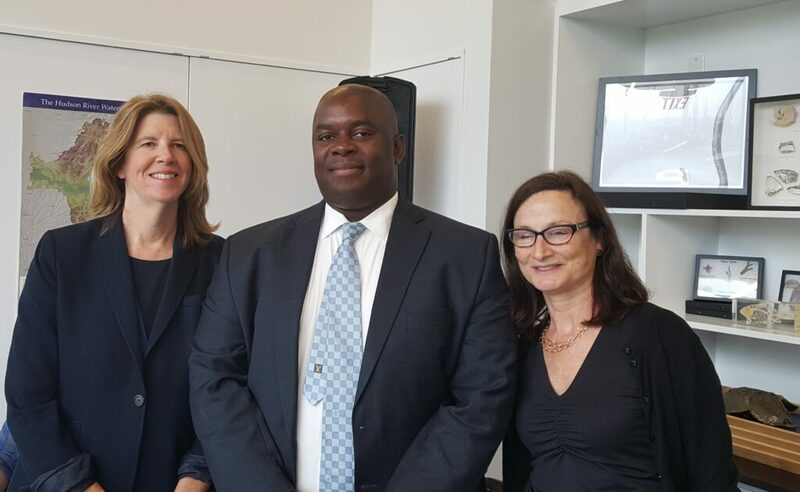 Capalino+Company is proud to work with the Brooklyn Bridge Park Conservancy to strengthen their relationships with government, community and civic leaders, and build active support for Brooklyn Bridge Park. 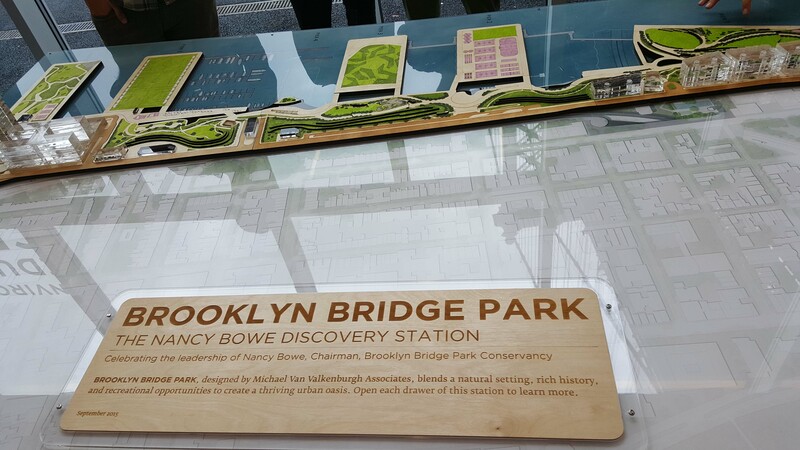 BBP has become a highly successful recreational, environmental and cultural destination enjoyed by the residents of and visitors to New York City. In addition to the Environmental Education Center, 99 Plymouth is part of a $6 million renovation of Main Street park designed by Michael Van Valkenburgh Associates, Inc. This facility, designed by ARO for $4.5 million, provides a community space, public restrooms, and contains park operations. Con Edison and New York City Council Member Stephen Levin provided leadership funding for the Center’s build-out, enabling the classroom to open in fall of 2015. Con Edison committed $250,000 to the project over five years. Councilmember Levin awarded $163,000 for the Center as part of the City’s 2015 Capital Budget. Con Edison has been a long-time corporate supporter of the Conservancy, as an early sponsor of the popular Movies With A View film series in Brooklyn Bridge Park, and later as the provider of lead support for the Conservancy’s first environmental education publication, The Cove Guide, in 2003. Over the past 15 years, Con Edison has contributed more than $200,000 to the Conservancy’s free programs in Brooklyn Bridge Park. In attendance for this wonderful event was the Hon. Richard Buery, Deputy Mayor for Strategic Policy Initiatives; Hon. Assembly Member JoAnne Simon; Nancy Webster, Executive Director for the Conservancy; Regina Myers, Brooklyn Bridge Park President; Nancy Bowe Chairwoman of the Conservancy; and several parents and friends.